As we move firmly into 2015 with high expectations, it's time to look back at the film scores of 2014. Below is a summary of Sean's top 10 film scores for the year and you can listen to Sean's Spotify playlist of the top 10 here: Best Film Scores of 2014. Reclaiming the sound of the summer blockbuster from Hans Zimmer and his associates, Alexandre Desplat conjures up one of the most sophisticated action scores in recent years. It's the old-fashioned tone of the score that really impresses, Desplat utilising the orchestra to its maximum effect (a la John Williams and Jerry Goldsmith) without ever substituting electronics for the power of the real thing. Dark, thrilling and undoubtedly huge, it's a soundtrack that's meant to replicate the overwhelming size of Godzilla himself. It wholeheartedly succeeds: a vital component in raising the tension of director Gareth Edwards' creature feature reboot. 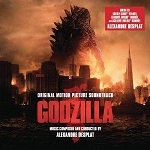 For a composer whose music is more often than not intimate and understated, Godzilla proves that Desplat needs to be let off the leash more often. Godzilla is available from these links at Amazon.co.uk or Amazon.com. One of the year's least distinguished films was nevertheless blessed with one of the year's best scores. 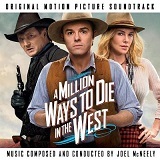 Seth MacFarlane's comedy western follow-up to Ted mostly fires blanks as far as the script and jokes are concerned – but one area in which it triumphs is in Joel McNeely's gloriously nostalgic and entertaining score, throwing back to the heyday of The Magnificent Seven master Elmer Bernstein. Beautifully orchestrated and old-fashioned (nowhere more evident than in the thrilling opening credits sequence), it's proof that McNeely is one of the most overlooked composers in the business. It also reaffirms that MacFarlane, for all his faults, clearly has a great knowledge – and love – of classic film music. A Million Ways to Die in the West is available from these links at Amazon.co.uk and Amazon.com. How to follow up on one of the greatest animation scores of recent years? Well, if you're John Powell, you take the basic recipe and add more flavour, resulting in a richly enjoyable soundtrack experience that builds on the themes of the first movie whilst introducing a myriad host of new ones, all of which are memorable. The tapestry of ideas Powell weaves around each other is truly impressive, every motif and theme bouncing off one another in a manner that effortlessly evokes the film's multifaceted cast of characters. Powell's score hearkens back to a golden age of film music in that its aim isn't simply to provide volume but to enhance the emotional impact of the film's narrative. It's the music that ultimately provides the beating heart of Hiccup and Toothless' story. 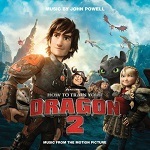 How to Train Your Dragon 2 is available from these links at Amazon.co.uk and Amazon.com. The Angelina Jolie-led reworking of the classic Sleeping Beauty story provided a broad canvas onto which James Newton Howard could project a magical, enchanting soundscape. The composer has in the past triumphed in the fantasy genre, be it Waterworld, King Kong or The Last Airbender, and Maleficent plays to his strengths in appealing, long-lined melodies full of lush orchestrations and cooing vocals. Gracing the score with several distinct themes and embellishing it with intelligent musical touches (sparkling chimes here, a chanting choir there), Newton Howard is probably more responsible for evoking a sense of magic than the film's onslaught of gaudy CGI effects. 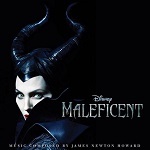 Although it occasionally bears influences of a temp track, the Maleficent score is nevertheless a satisfying reminder of what this fine composer is capable of when he's on top form. Maleficent is available from these links at Amazon.co.uk and Amazon.com. Another strong score for a frankly duff movie, Mychael Danna's music gradually envelops the viewer in a sense of wonder, even as the Johnny Depp-starring movie becomes ever more ridiculous and convoluted. 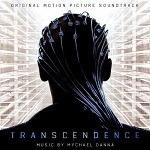 As demonstrated with the likes of Life of Pi, one of Danna's great gifts is to create a compelling soundscape where the orchestral and the electronic collide, and this approach is ideal for Wally Pfister's directorial debut, the story of a dying man who's uploaded into a computer. Danna also adds plenty of his familiar ethnic touches like the Indonesian Gamelan ensemble to create a suitably alien and unusual atmosphere. What a shame that it couldn't have been written for a more deserving film, but Danna's compositional skills are never in doubt. Transcendence is available from these links at Amazon.co.uk and Amazon.com. The perfect example of a score that works wonderfully in context whilst verging on borderline unlistenable outside of it. 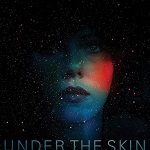 The debut score from Micachau and the Shapes musician Levi, the music brilliantly enhances the off-kilter atmosphere of director Jonathan Glazer's extraordinary film, utilising minimalist, scratching string arrangements to musically depict the world as seen through alien Scarlett Johansson's eyes. Every so often, the music bursts into remarkable, rhapsodic moments of synth-enhanced eeriness, calling to mind Wendy Carlos' arrangements on A Clockwork Orange, but is mostly content to quietly grind away at the nerves, working brilliantly with Glazer's visuals to make the ordinary suddenly seem weirdly off-kilter. It's an unpleasant listening experience on its own but brilliantly effective in serving its respective movie. "Under the Skin" is available from these links at Amazon.co.uk and Amazon.com. Darren Aronofsky's take on the Biblical story of Noah's Ark blends an earnest (some may say overwrought) sense of faith with the needs of the modern day blockbuster epic. It's these disparate approaches which inform Clint Mansell's score, one which blends the composer's familiar, rock-induced feel with soaring orchestra and choir to create a soundscape that is both current and old-fashioned. 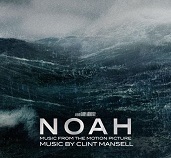 Although a challenging listen on its own terms, it's marvellously effective in the film and is perhaps the composer's most accessible score for this director, reflecting both the darkness of man and Noah's eventual path to redemption. The surging, astonishing cue "Make Thee An Ark" is undoubtedly one of this year's finest pieces of film music, fully capturing the moral weight and gravitas of Aronofsky's movie. Noah is available from these links at Amazon.co.uk and Amazon.com. Beltrami reunites with director Tommy Lee Jones for another take on Western mythology, building on the unusual sound of The Three Burials of Melquiades Estrada but going one further with the innovation and creativity. 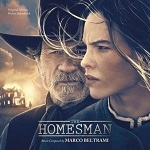 Utilising a host of fascinating musical textures, including the sound of the very wind itself, Marco Beltrami demonstrates why he's one of the most creative and intelligent composers in the business, getting inside the film's narrative to musically depict the harsh aridness of the mythical American west. Fortunately, the score also has a huge heart in the form of the lyrical, beautiful central theme for Hilary Swank's character Mary Bee Cuddy, a theme that pervades the soundtrack and provides a gorgeous contrast to the more challenging material. The Homesman is available from these links at Amazon.co.uk and Amazon.com. 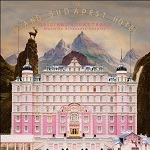 Talking of director-composer reunions, the latest partnership between Alexandre Desplat and filmmaker Wes Anderson continues their delightfully quirky vein of form. Anderson's featherweight dramedy, set in a fictional European state in the years prior to World War II, benefits hugely from Desplat's jaunty, lively score, one resplendent in the authentic sound of traditional European music. Mixing balalaika, cimbalom and zither with melodramatic organ and choir arrangements, Desplat perfectly captures the offbeat yet nostalgic atmosphere of Anderson's film, underscoring its sense of oddness with moments of genuine poignancy. Coming on the heels of Fantastic Mr. Fox and Moonrise Kingdom, there's no denying that The Grand Budapest Hotel reaffirms this duo's capacity to create witty, distinctive film music. The Grand Budapest Hotel is available from these links at Amazon.co.uk or Amazon.com. The working relationship between Hans Zimmer and director Christopher Nolan has, at best, yielded mixed results in the past, with the Batman scores failing to provide the iconic superhero with a memorable musical identity and Inception only hitting the mark in places. Thankfully, Zimmer's score for Interstellar is by far and away the best thing he's ever done for the director. Just as Nolan's sci-fi epic reaches for the stars, so does Zimmer's score reach religioso, near-operatic levels of drama, earth-shaking organ arrangements (a la Ennio Morricone's Mission to Mars) reminding us that this is ultimately a story about love transcending time and space. Although the score is sometimes mixed too loudly in the film itself (drowning out some key dialogue), as a soundtrack album it's easier to appreciate the way Zimmer fuses his innovative side with his talent for soaring beauty. 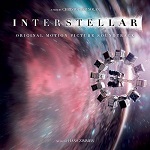 "Interstellar" is available from these links at Amazon.co.uk or Amazon.com.